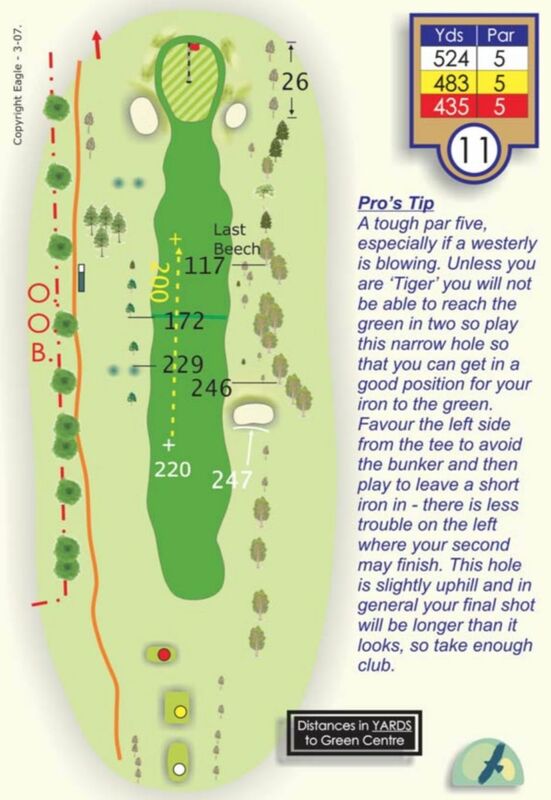 A straight, flat, long par 5 with out of bounds left and a line of tall established trees down the right. As you can see from the picture, you really don't want to mess around with these trees. If you can't get on in two shots, consider setting up your approach with a long iron, as straightness is the key on this hole.